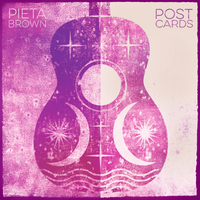 Mason Jennings for "How Soon"
Acclaimed singer/songwriter Pieta Brown will release her new album Postcards on March 10th via Lustre Records. True to its name, Postcards explores the role of distance and isolation through collaboration in which Brown enlisted a guest artist for each track via mail. Today, she released "How Soon" which premiered on Billboard and features indie-pop singer/songwriter Mason Jennings who contributed drums, bass, and backing vocals to the infectious tune. Listen to "How Soon (with Mason Jennings)" HERE. "I had a feeling maybe he would connect to that song," Brown told Billboard. "I knew from doing a few things with him before that he could play, and he's kind of a magician, too. He can play just about anything and bring something musical to it - drums, bass, guitar, harmony. He does it all. So it was really fun to send ('How Soon') to him and have him do all of that, 'cause it's just me and Mason for the most part." It was in hotel rooms across the country that Pieta wrote most of the songs on Postcards. Like any touring musician, Pieta was on the road to survive, balancing the rewards of performing music for a living with the challenges of trying to stay connected to loved ones and other artists while in motion. So, in order to keep in touch, she decided to send out "musical postcards." These were stripped-down, acoustic shells of the new songs she'd written while traveling. In addition to Mason Jennings, she sent them to folks like Mark Knopfler, Calexico, David Lindley, Mike Lewis, and Carrie Rodriguez among others. Her instructions to each were simple: write back. What Pieta created is a striking collection of portraits - sometimes sweet and tender, sometimes eerie and haunting - of characters facing loneliness, longing, and loss with a stoic sense of dignity. Her airy vocals, with just a hint of a drawl from a childhood split between Alabama and Iowa, float above rich, earthy texture, fluidly merging grit and grace in what is undoubtedly her finest work to date. With the premiere of lead single "Street Tracker," featuring Dire Straits legend Mark Knopfler, Guitar World called Postcards "a bevy of interesting collaborations." "In The Light" is out now as well, premiered by Relix, which features Arizona desert-rockers Calexico who completed the track at the legendary Royal Albert Hall in Manchester while on tour. Pieta Brown first came to international attention with her 2002 self-titled debut and has since been recognized by NPR for her "moody, ethereal" songwriting and applauded by The Boston Globe for her "mercurial voice," among other praises. Continually revealing new layers as both a songwriter and performer, Pieta is being recognized as one of modern Americana's true gems. In just the last six years, she has released three critically acclaimed albums and three EPs with much attention being paid not only to her distinct sound and style, but also the power of her singing and songwriting. Since releasing One and All (2010) and Mercury (2011) followed by Paradise Outlaw (which Bon Iver's Justin Vernon called his "favorite recording made at our studio"), Pieta has toured with Mark Knopfler, John Prine, Amos Lee, Brandi Carlisle, JJ Cale, Ani Difranco, Mavis Staples, and Calexico among others. 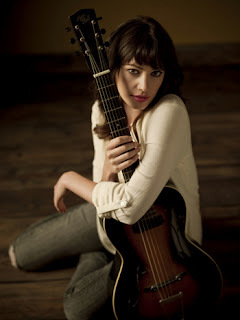 She has also co-written songs with and made recent guest appearances on albums by Calexico, Amos Lee, and Iris Dement.